Water is pumped to the Thomas E. Levy Groundwater Replenishment Facility, (see project in this section) by the Dike #4 Pump Station. The Pump Station transfers water from the Coachella Canal, (which conveys water from the Colorado River), to the Replenishment Facility located approximately 3/4 mile from the Pump Station. 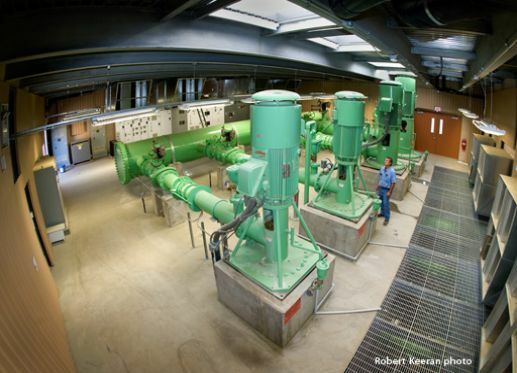 The Pump Station capacity is 60 cfs, which equals 28,000 gpm, while overcoming 80 feet of vertical rise from the Pump Station to the top of the Replenishment Facility.